Producers - Site de visituzerche ! From snails to veal and duck; from apple saffron to all kind of fruits and vegetables; without forgetting bread... 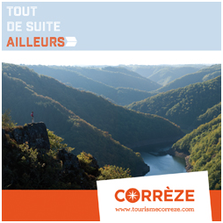 The Pays d'Uzerche is full of producerts to introduce to you our land cuisine. Snails cooked in different ways, multi-floral honey, more particularly saffron honey. Poultry: chickens, guinea fowls, ducks, apples.